Foreign Minister slams United Nations Human Rights Council over its intention to investigate the IDF's operations in Gaza. 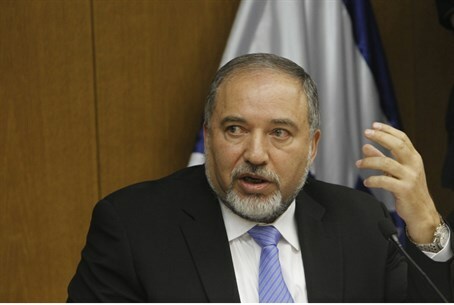 Foreign Minister Avigdor Liberman slammed the United Nations Human Rights Council (UNHRC) on Wednesday, over its intention to launch an investigation into the IDF's operations in Gaza. The UNHRC, he said, has long ago turned into the rights council for terrorists. Justice Minister Tzipi Livni said the UNHRC’s decision showed the organization supports terrorism and stressed that Israel will continue to fight terrorism. "The IDF will fight terrorism and will continue to do its utmost to avoid harming innocent people, and you will continue to encourage terrorism - because that's exactly what your decision does,” wrote Livni on her Facebook page. Finance Minister Yair Lapid also responded to the decision and said he was not surprised by it. "I did not have any expectations from the start, this is the ugly hypocrisy of the United Nations," Lapid said, adding, "They should investigate Qatar for transferring funds to terrorism or Syria and Iraq." Earlier on Wednesday, the Prime Minister’s Office slammed the decision as "a travesty". "The decision today by the UNHRC is a travesty and should be rejected by decent people everywhere," the statement said, pointing out that no such probes were being launched into Hamas's illegal use of human shields and indiscriminate firing at Israeli civilians. "Rather than investigate Hamas, which is committing a double war crime by firing rockets at Israeli civilians while hiding behind Palestinian civilians, the UNHRC calls for an investigation of Israel, which has gone to unprecedented lengths to keep Palestinian civilians out of harm's way, including by dropping leaflets, making phone calls and sending text messages," the statement continued. The decision to launch an inquiry was made shortly after UNHRC chief Navi Pillay said that there is a "strong possibility" that Israel was violating international law through Operation Protective Edge.